CanwaxWest is thrilled to be once again offering a three day workshop by Tracy Proctor. Tracy Proctor is a third generation Calgarian, artist, teacher and founder of Swirl Fine Art and Design Art Gallery. Although a self–taught artist, she has completed encaustic programs in New York, California, Santa Fe and Seattle. Her background in Interior Design has influenced her love for color and composition. Tracy teaches encaustic workshops throughout Western Canada. She is a certified R&F encaustic instructor. 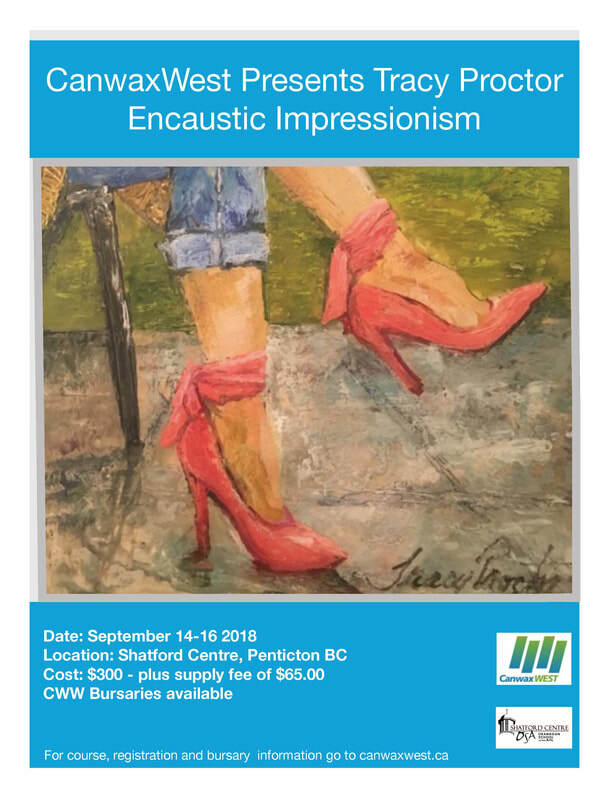 ​This year's theme is "Encaustic Impressionism" as seen through Tracy's unique lens. This class is not to be missed and is for intermediate to advanced artists.